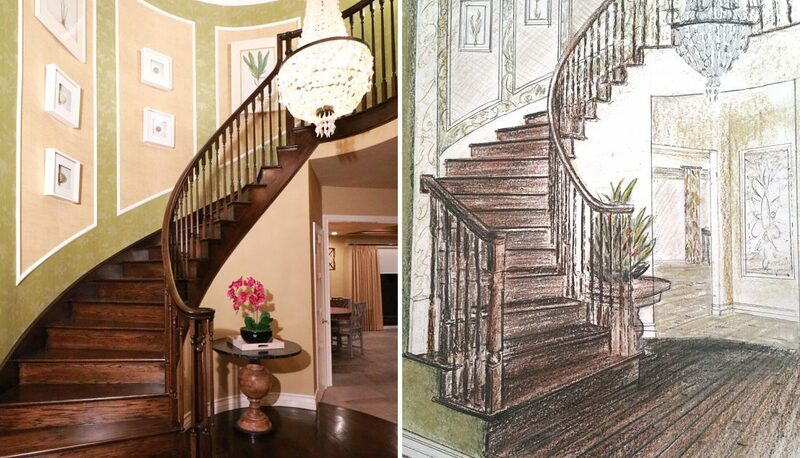 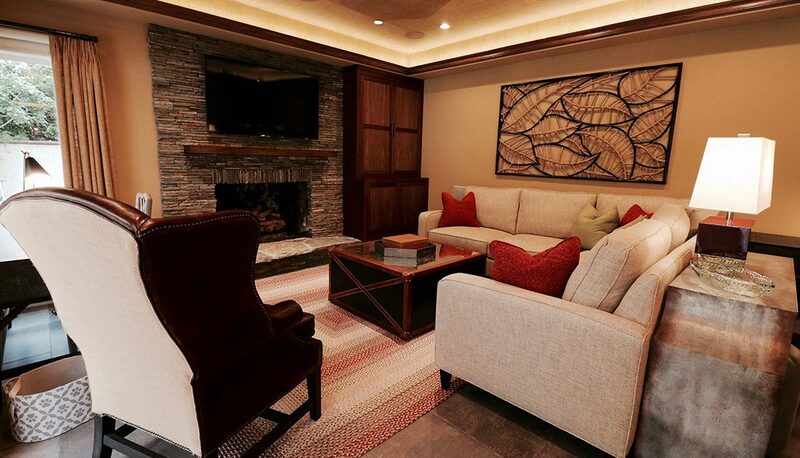 This project was a complete home renovation project for the Space Case Design team. 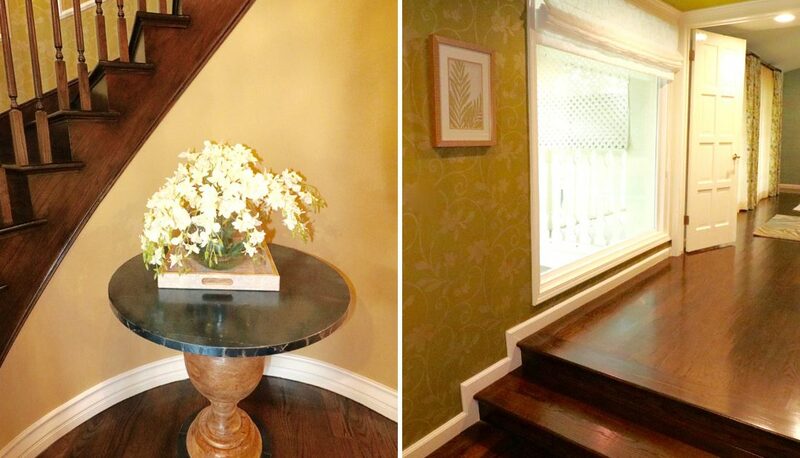 The new homeowners wanted to update this track home that was situated behind the gates in beautiful Rolling Hills, California. 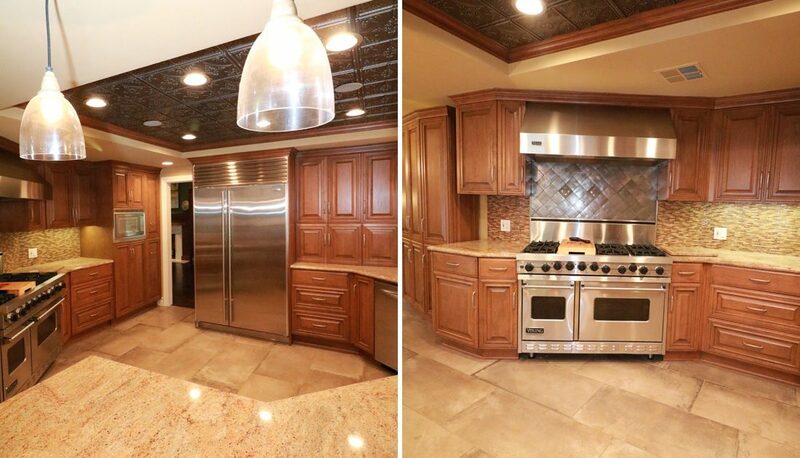 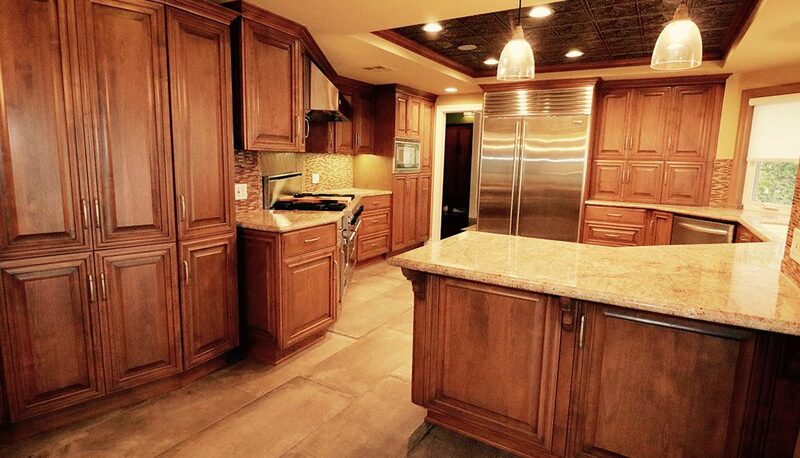 Each space was painted fresh and millwork, casings, and cabinets were updated. 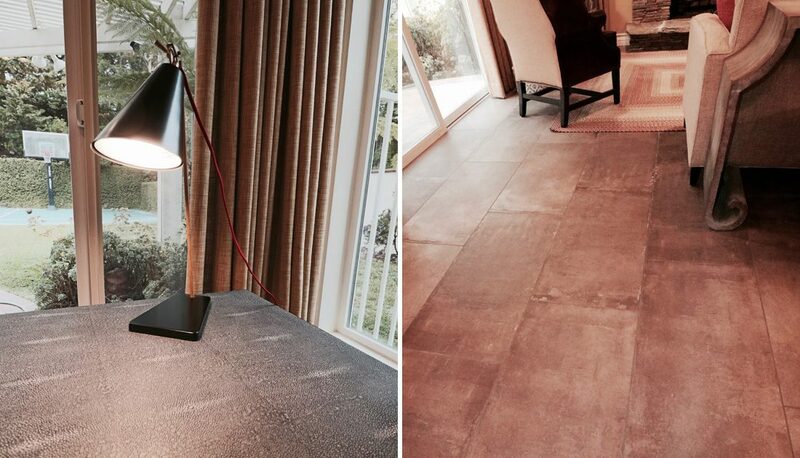 We refinished and laid new rich walnut wood flooring in all rooms except for family and kitchen areas which received a beautiful rich concrete floor tile for extra durability which would stand up to kiddos and pets at play. 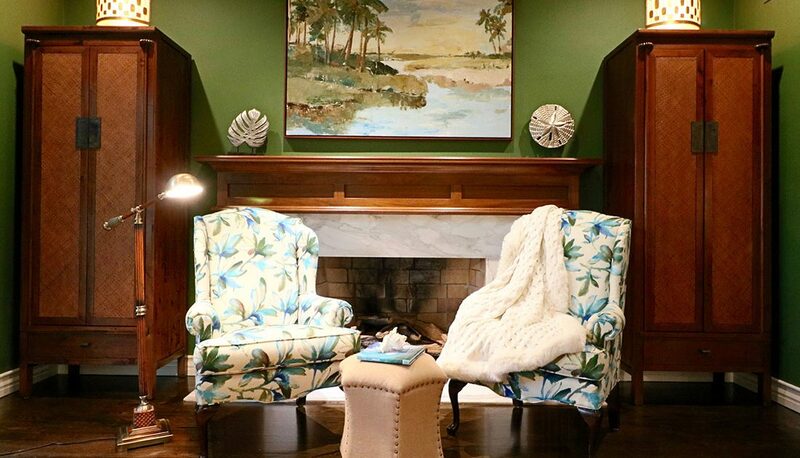 The vibrant green and blue color palette in the formal living room is punctuated with beautiful floral armchairs and a casual burlap ottoman. 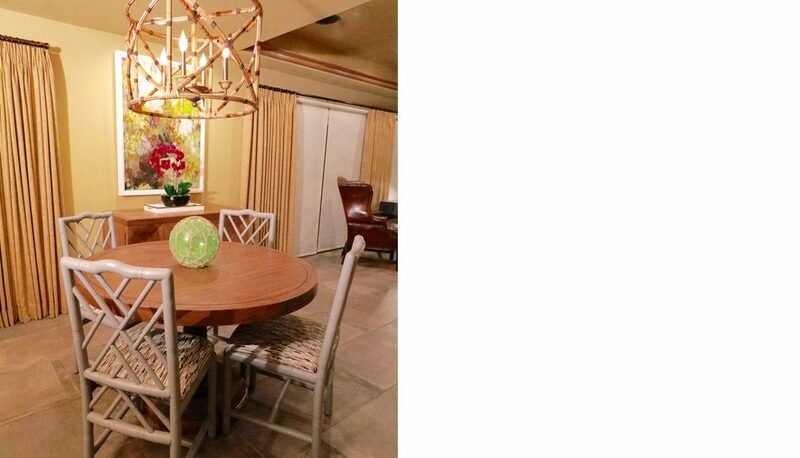 Glass and warm toned metals were used throughout to add an opulent fell to the otherwise casual spaces. 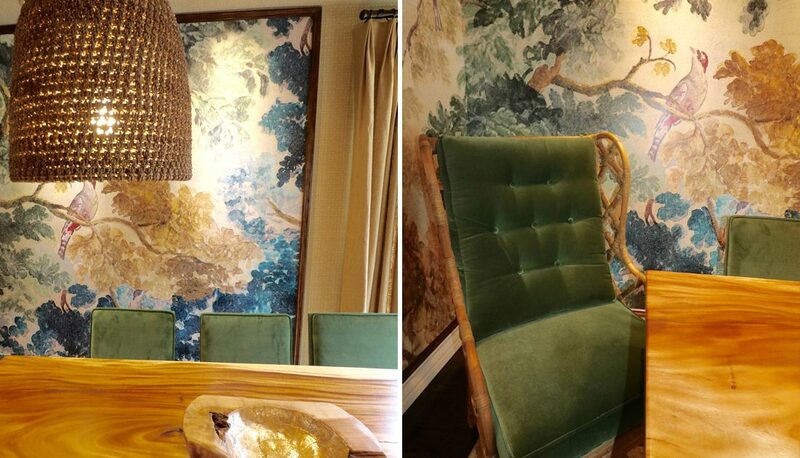 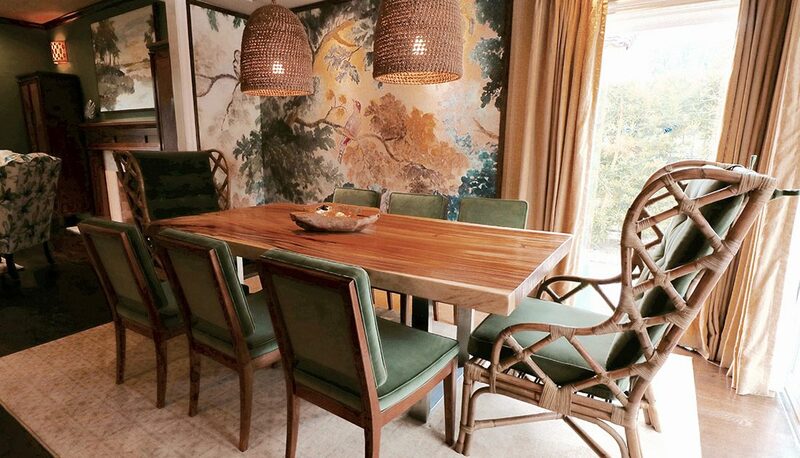 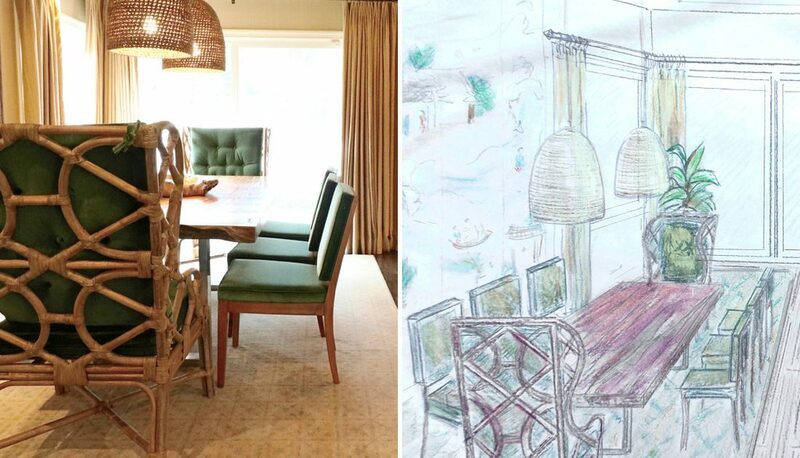 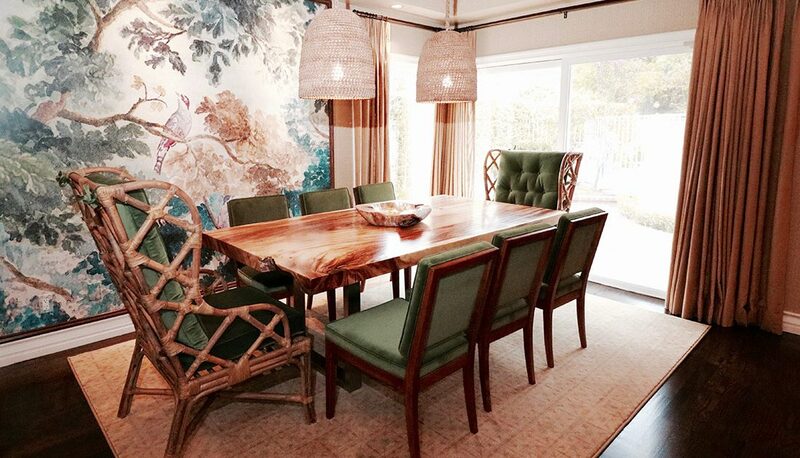 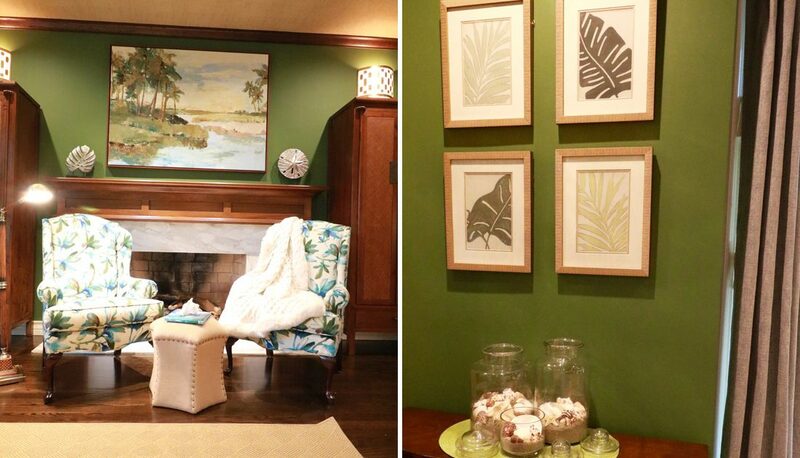 Traditional Schumacher print wallpapers were used in the guest bath, and dining room where we designed a gorgeous tapestry style wall mural and paired it with a custom found wood slab table and deep green velvet Stickley dining chairs. 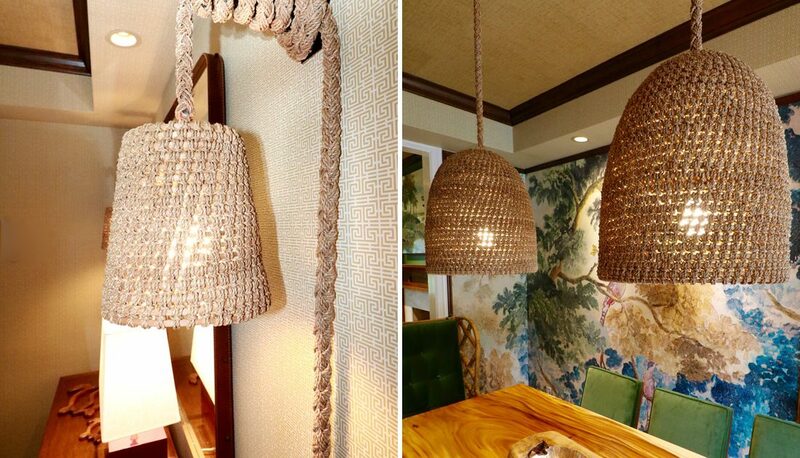 Woven pendent lighting compliments this space. 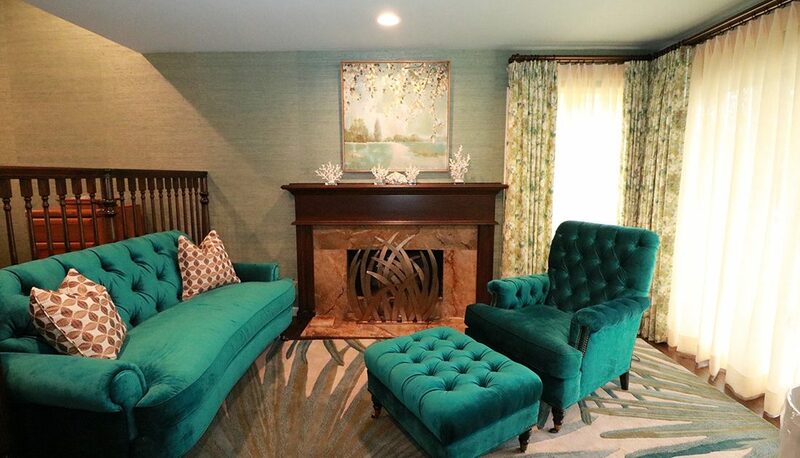 The color palette turns to warm in the family room with petite desks suitable for studying and playing for their two twin girls and the room dotes a huge sectional and easy chair for family movie nights. 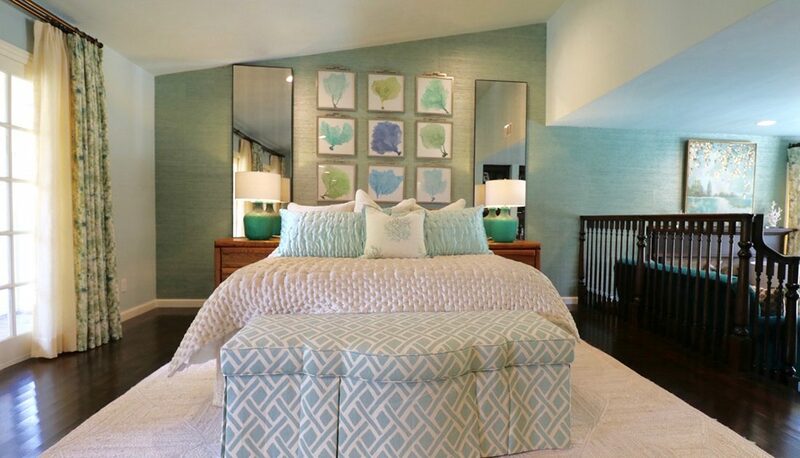 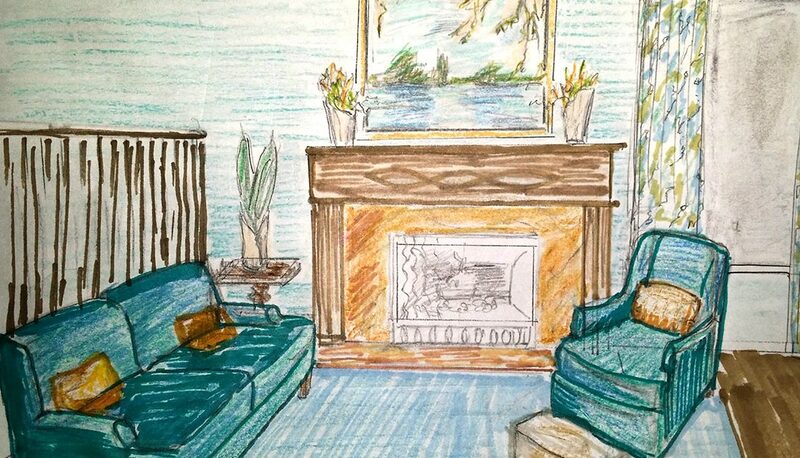 In the master suite the natural fabrics and textural rugs and focal wall creates an inviting bedroom retreat and the lush vivid teal velvet seating in the master sitting room calls for cozy morning and evening enjoyment fireside. 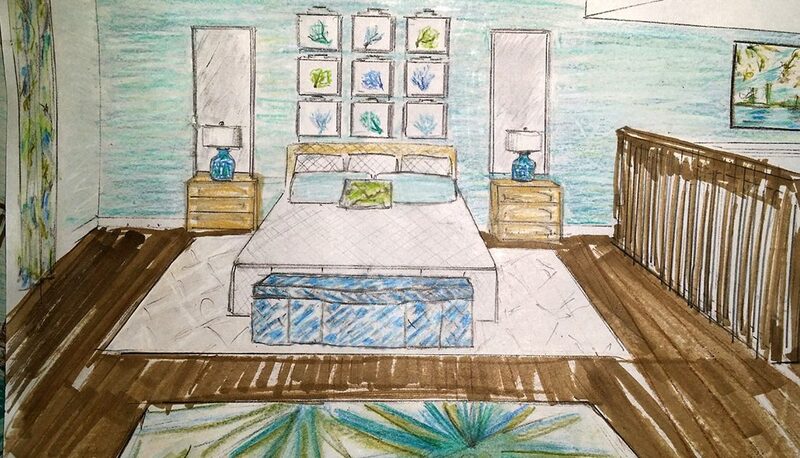 The room was painted and papered in a soft watery sea blue to create a calming feel and the ensuite bathroom follows suit. 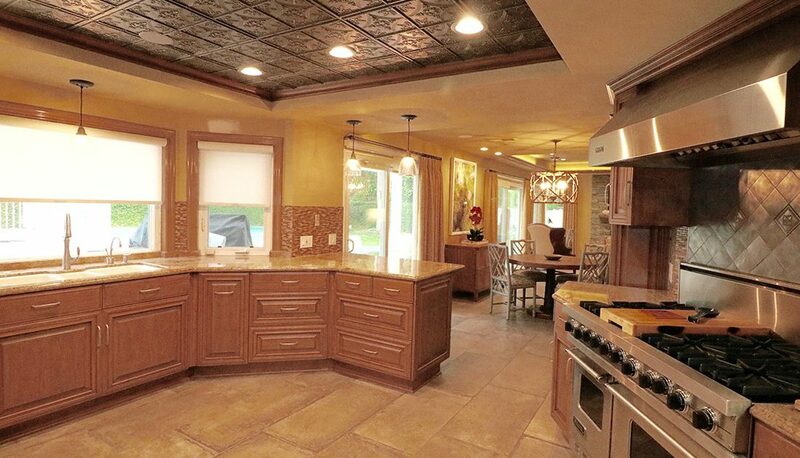 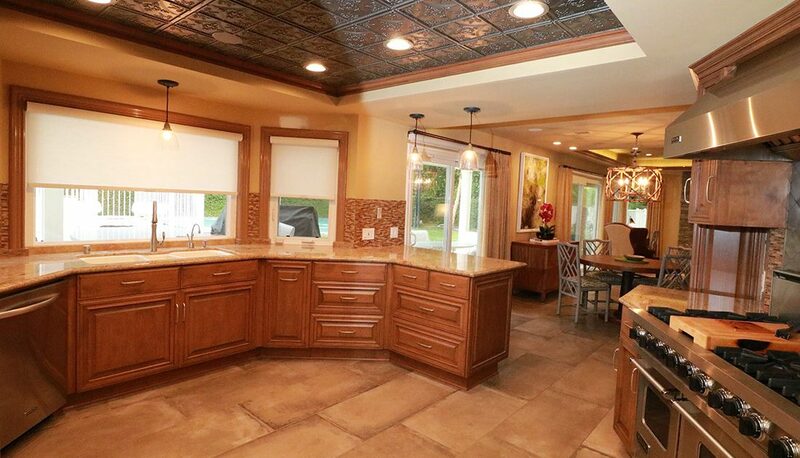 We refinished the kitchen and added a gorgeous tin roof to the ceiling area. 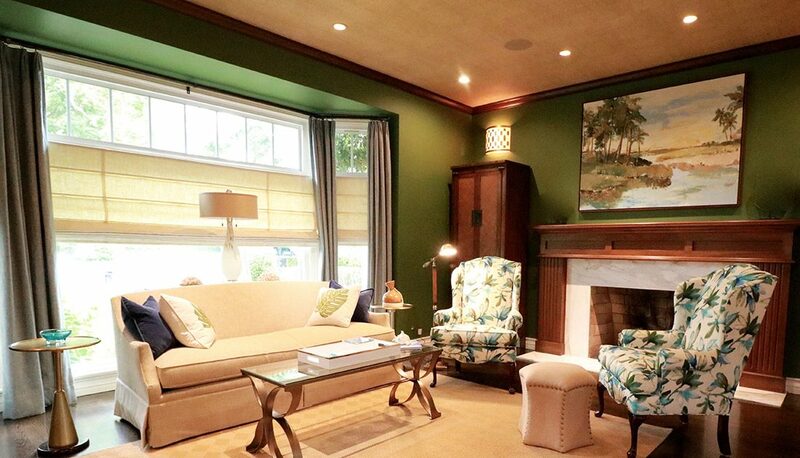 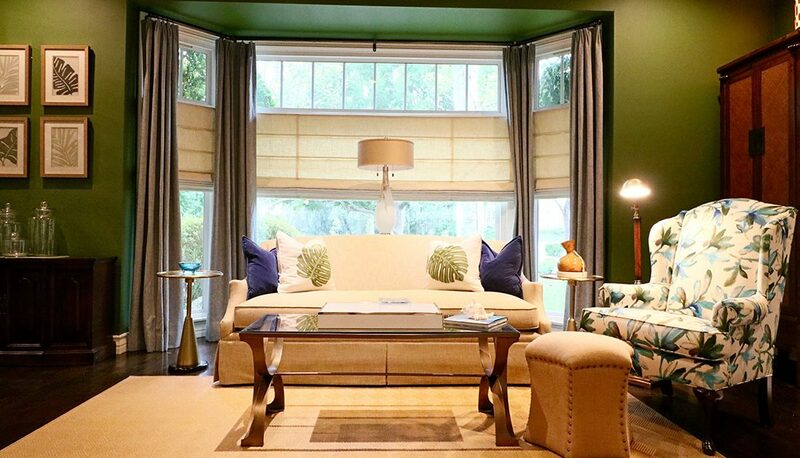 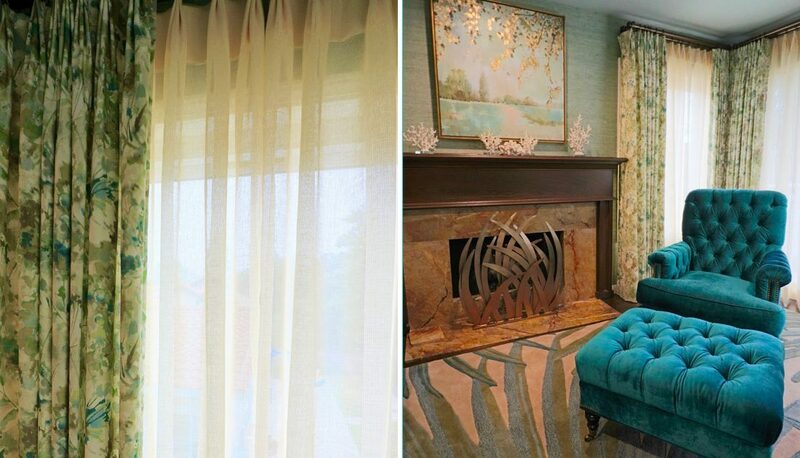 All windows are adorned with custom window treatments by Space Case Interior Design.